I read with interest this weekend about the return of two iconic TV franchises, and one left me decidedly more excited than the other based on first impressions. As reported by Hitfix in their coverage of the TCA winter press tour, FOX executives mentioned that they’ve had “some conversations” about bringing back extra-terrestrial TV thriller The X-Files to the network. This in addition to star Gillian Anderson’s recent comments on the Nerdist podcast that she’d be interested in returning for a short run as FBI agent Dana Scully and we could well be on for a 24: Live Another Day-style short-form resurrection. I used to really enjoy watching The X-Files first time around on the BBC; the mix of spooky alien goings-on and the impressive cast (I always loved Mitch Pileggi as Assistant Director Skinner for no real reason) were always worth a watch. But once the mythology/conspiracy started to add up, it was game over for the casual viewer; if you missed three episodes in a row for whatever reason (and all the rescheduling the BBC used to do didn’t help), you were screwed if you thought you’d be able to catch up. That’s the beauty of what could be a mini-series, though; 8 or 10 episodes built up solely to blow another conspiracy wide open – and what with the mystery date fresh in viewers’ heads at the end of the original run having passed, it would be cool to see what, if anything, has happened since. Let’s be honest, with such a short run on the deck and the ability to catch up on everything these days via various devices and subscriptions, you’re hardly likely to miss out this time. 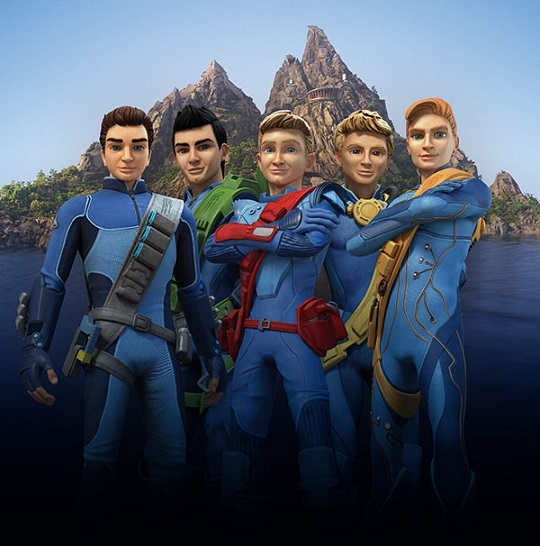 And while we’re here, let’s take a look at another TV favourite that’s soon to hit our screens, as Thunderbirds Are Go comes to ITV to celebrate the franchise’s 50th anniversary. I was going to talk about my initial nerves about seeing this show, but then commend the ability of former Fonejacker Kayvan Novak to put on a great voice acting performance in whichever role he plays. But then I saw a picture of the new-look Tracy Brothers, and decided not to bloody bother.